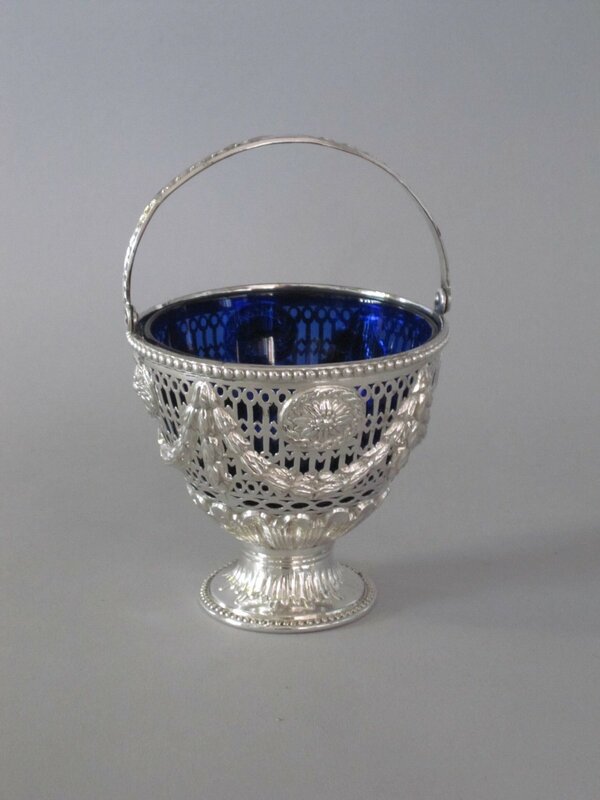 Old Sheffield Plate Silver Sugar Basket, circa 1775. Description: An Old Sheffield Plate Silver Sugar Basket, circa 1775. By Hoyland&C. Of pierced vase shape with swing handle. Illus: G. Crosskey, Old Sheffield Plate, Treffry Publishing, 2011 page 258, fig.256.